Jordan is almost seventeen and at her birthday, her biggest worry is how she will look at her party. Her best friend, Catrina has been helping her prepare and as they gossip about the boys who will be there, Jordan only has eyes for her childhood sweetheart, Rowen. Even though Rowen is a few steps under her social status, he would still make an acceptable marriage for her. In this alternative world of Philadelphia, the only thing in life that matter is where you are on the social ladder. The higher up the hill, the safer you are from the Merrow creatures in the water that cause havoc and death to any unfortunate to come close. 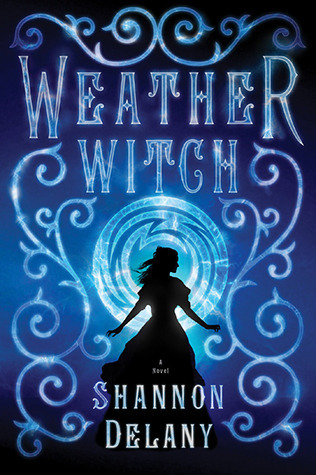 This world is powered by witches who can harness the weather and energy around them. To be a witch is to be of the lowest class. So when the Council shows up at Jordan's birthday party, they are certain to find a witch among the attendees. When it turns out Jordan is the one they seek, her whole world falls apart. Jordan is immediately carted off to Holgate, a place where people are pretty much tortured to transform them into witches that control the weather and conduct their magical power into electricity. When she meets the Maker, Bran, she declares over and over that she is not a witch. Finding inner strength that she didn't know she had, she makes friends with her prisoner roommates while she waits for Rowen to save her. As time goes on, she realizes that she is the only who can save her. Bran has his own dark, secret past that I can wait to get more detail about his background. The story switches back from these characters points of view and really adds to the story. The story is full of intrigue, evil versus good, and the wonderful possibility of romance all built around magical elements with a bit of steampunk delicately woven in. I finished this rather quickly and there was no way I could put it down until I was finished. It left me breathless and wanting more. I haven't read anything this compelling in a long time! Now, the long wait for the next installment. If you enjoy Cassandra Clare, Jana Oliver, JK Rowling, you are going to adore this new series. Parents: This is pretty safe for even the youngest of teens and I bet even mature middle grade students would enjoy it.